Find yourself at home in this simple, beautiful single level 2 bedroom 1 bathroom home. Youâll be proud to drive through this nice neighborhood and down your long, gated driveway of this well kept home. Turn the private studio in the back into a recreation room to unwind after or simply use the tons of shaded space in your backyard patio and be in the company of the backyard palm trees. Upon entry to the house, you are greeted by a spacious living area illuminated by upgraded light fixtures and complimented by freshly painted walls. The living space is very warm and inviting, allowing light to pour through several windows during the day and providing a cozy tile fireplace for night time use. Walk past the cute dining area into your bright kitchen with wood cabinetry, a nice pantry, and ample tile countertops. On the other side of the house are the two bedrooms along with the newly painted and modest, yet luxurious, bathroom. 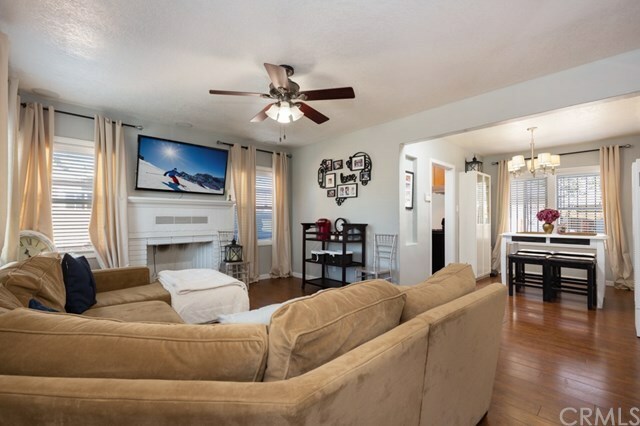 Donât miss your opportunity to own this beautiful Santa Ana home!